Smart features are the latest buzz in home technology and they are incredible. To think that just over two decades ago, we were all enthralled at the idea of being able to speak to someone via text message or cell phone while on the run. Now, we’re able to speak to anyone in the world with a touch on a screen, and technology makes our lives easier every day. What’s even more exciting is that technology makes some of the hard work around the home easier and simpler. The dream is finally here, so take a look at these smart features for inspiration. If there’s one thing that many people around the world have in common, it’s that cleaning is a chore and a bore. Imagine your floors clear of debris and dirt with very little effort, even if you’ve got a pet. It’s now possible thanks to robotic vacuums that are now available for us to buy and enjoy in our homes. They work by detecting where furniture and walls are and mapping out the room so that it can set a course to ensure the whole floor is clean. All you need to do is empty it every now and then for a home with super clean floors that involves minimal effort. Smart toilets are quickly increasing in popularity. You may be wondering what features smart toilets have. For one thing, you can select a model that cleans and sterilizes itself. So now, it’s easier than ever to ensure that your toilet is sparkly clean. Designed for comfort and cleanliness, some even include a clean, fresh water wash.
Also, you may choose between remote control or buttons on the unit itself. What’s even nicer, with so many different styles from which to choose, your bathroom will look like something out of a showroom. One thing that you can never be too careful about is security for your home. You can now get smart security systems that include motion detectors, cameras on your doorbell, and even sensors that detect movement in around and near entry points of your home. 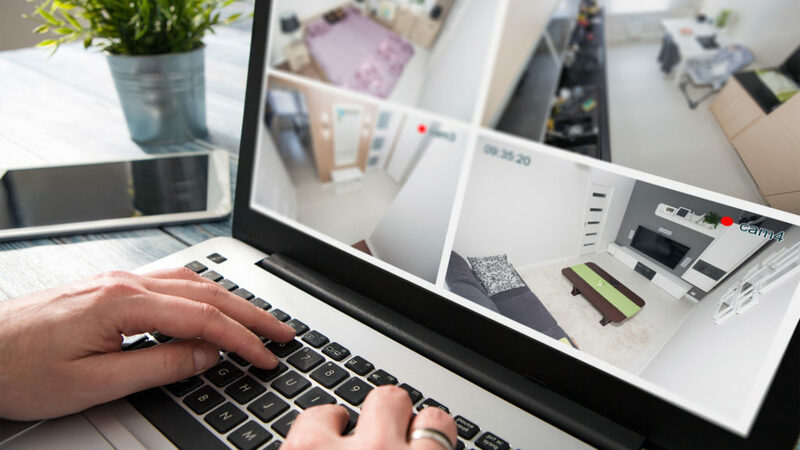 Some systems even alert you whether you’re at home or not which makes it possible for you to take the necessary steps to ensure that your home is safe from thieves. It’s also nice to see who is knocking at your front door before you open it. This all adds up to a high level of security and safety for you, your family, and guests. A smart home feature that everyone wants at the moment is the home assistant. The most popular are Siri and Alexa, which are units that are able to take verbal requests. So, if you fancy a little bit of jazz while you cook dinner, you simply ask and it is played. Or, if you’ve suddenly remembered that you’ve got a meeting tomorrow, you simply ask your assistant to make a note and remind you via text, email, or even as a reminder on your phone. A home assistant is an excellent place to start if you want to add smart features to your home. The future is here, so jump in and begin to transform your home into a smart home. We wish you the best of success as you upgrade your home to include smart features.